Room Alert is an industry leader when it comes to monitoring temperature in data centers, server rooms, and other facilities to help prevent unexpected downtime and data loss. While Room Alert should be a part of every organization’s business continuity plan to help prevent outages, Room Alert can also be a major benefit for any organization that relies on computers or servers, as high heat reduces hard drive performance. One of the most popular pages on our website is our article on recommended data center temperature & humidity (as well as the update with recommendations from the 2016 ASHRAE report, which can be read here). Organizations that run servers locally are always conscious about downtime that can result from extreme temperature and humidity situations, which can run from higher than average outdoor temperatures, to broken HVAC units and power outages. What many organizations don’t realize is that higher temperatures in their server room or data center can lead to reduced hard drive performance. This can result in slower response times on web servers or write errors on database servers. Neither of these situations could be classified as downtime, however both scenarios will result in reduced productivity and potentially reduced customer confidence as well. Additionally, high heat can drastically reduce hard drive life as well. National Instruments noted that just a 5°C increase in temperature can reduce a hard drive life by as much as two years. If you’ve ever had a laptop on your lap for an extended period, you may have noticed the bottom of the case growing warm. Not so coincidentally, you may have also noticed the computer’s performance starting to lag – web pages loading more slowly, documents taking longer to open, etc. Now take those noticeable impacts on just one hard drive and multiply them across tens (if not hundreds) of hard drives that are needed to operate 24×7 in many organizations. Write speed is heavily impacted by the temperature of the hard drive, as the warmer the drive becomes, the slower it writes. This is due to the number of errors that occur when writing at higher temperatures. Eventually the hard drive will slow to a crawl if it’s not allowed to cool properly. Hard drives and servers naturally give off a lot of heat. If you’ve ever walked behind a full rack of servers in your server room, you’ll have noticed how much warmer it was versus standing in front of the rack. Servers need to expel as much heat as they can, as quickly as they can, to keep hard drives operating at optimal performance. If the heat in the room rises quickly, the hard drives won’t be able to operate within the best recommended ranges and will slow down before eventually failing. 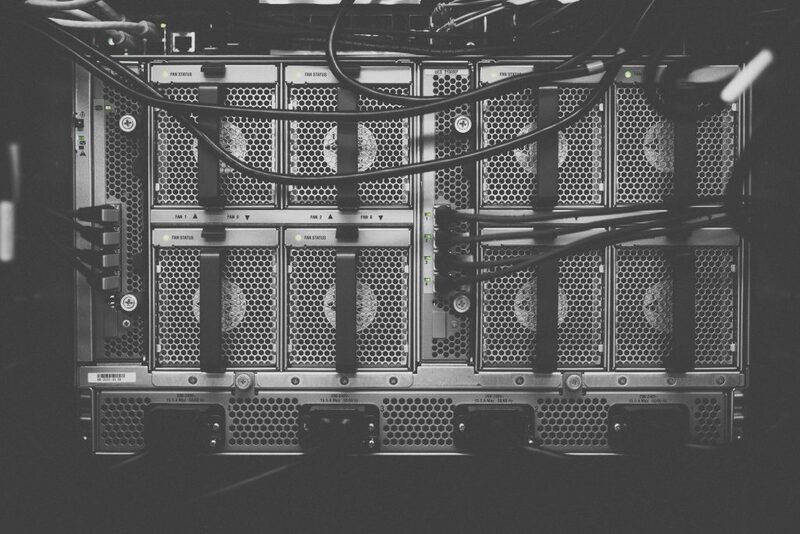 Your hard drives and servers don’t need to completely crash before they cost your organization valuable money in lost productivity and resources. As noted at the top of the article, web servers that perform poorly due to high temperatures could lead your customers to browse elsewhere to make a purchase. Nowadays it’s a rarity to have an office where the phrase “the database is slow AGAIN!” isn’t uttered a few times every month. Sometimes those issues might be unrelated network issues, but why run the risk of high temperatures being the cause of employee frustration and productivity loss? 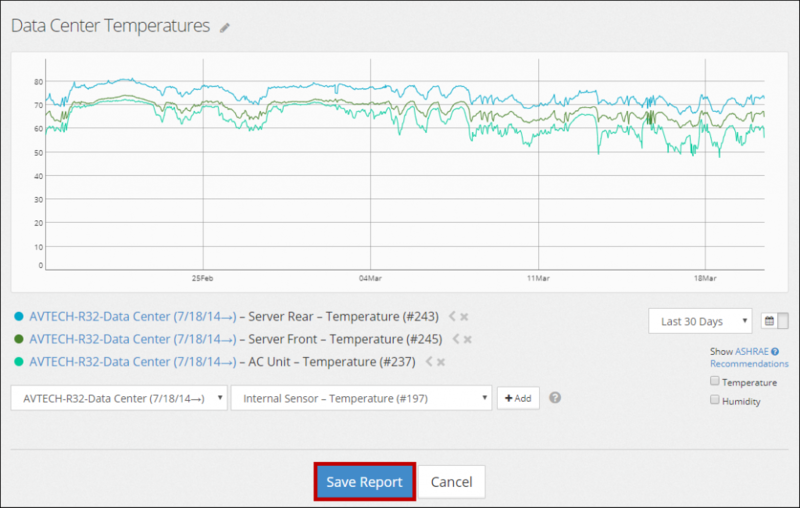 Room Alert’s reporting and logging capabilities help you monitor temperature to help notify you of rising temperature situations before hard drive performance is affected by high heat. Whether it’s through the Room Alert Account portal or our local software, Room Alert will provide up to the minute reporting on temperature trends within your facility. Having multiple Room Alert monitors and temperature sensors located throughout your facility will provide an even more comprehensive view of environment factors that may affect your hard drive and server status. Our patent-pending Digital Active Power w/Temperature Sensor is perfect for these situations, as most users will attach the sensor to the power cable of their server or computer right near the heat vent on the back of their hardware. By placing the Active Power w/Temperature Sensor there, you can monitor the heat coming from the unit and immediately spot an upward trend, allowing you to take action before hard drive performance begins to falter, long before it runs the risk of crashing. Protecting your organization with Room Alert is more than just helping to prevent downtime. Using Room Alert to monitor temperature and prevent high heat from reducing hard drive performance improves your organization’s productivity, reduces wear and tear on your servers, and helps you avoid costly repairs. If proactive environment monitoring isn’t part of your business continuity plan, the time to remedy that is now, long before high temperature, unexpected water, or power loss causes you to lose thousands of dollars. Always remember – Room Alert is environment monitoring made easy… don’t wait until it’s too late!